Good news for Merseyside vinyl lovers as Dig Vinyl, a new independent shop comes to Liverpool city centre, Getintothis’ Jamie Bowman chats to the man behind the counter and finds out his motivation and finds a few rare wax treasures. For all those crate diggers still mourning the loss of Hairy Records, help is at hand with the news that Bold Street will once again house a record shop. 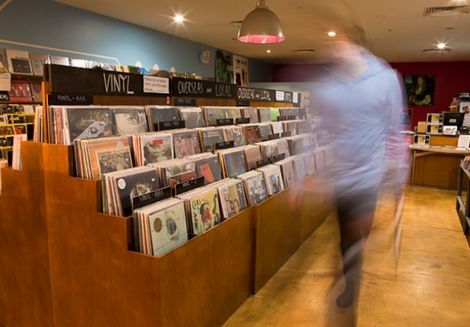 Dig Vinyl, which opens in the basement of Soho‘s on Saturday, March 15, is a new independent record shop specialising in stocking a carefully curated range of second hand vinyl along with a smattering of sealed repressings. 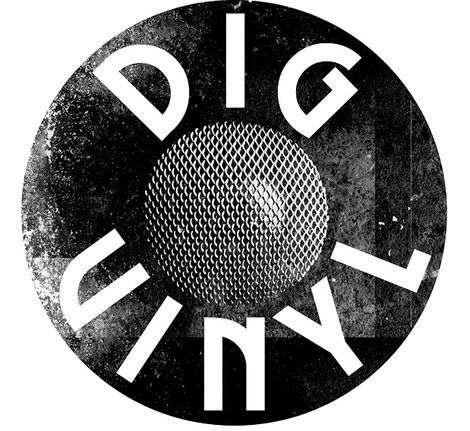 Catering for fans of indie, soul, funk, punk, psych, beat, prog, folk, jazz and reggae, Dig Vinyl is the brainchild of veteran record dealer Anthony Nyland who is determined to reverse the trend of record shops closing up and down the country. Anthony said: “Music Shops may be vanishing from the high street but at the same time vinyl is resurgent, physical formats are still sought after by fans, and the future lies with independent shops like ours with a real passion and a desire to promote music culture. “Dig is a local response to the tireless talking down of physical record shops and the corporate commodification of music. “We believe that people still want a space where they can share, physically explore and dig out old classics, unearth unknown gems and get involved. 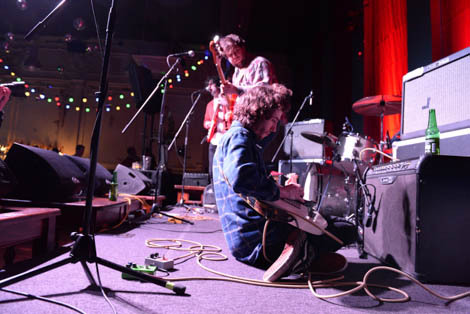 Taking inspiration from shops such as Rough Trade East and Probe, Anthony is linking the shop with his record label, The Sound of Salvation, which he runs parallel with managing Swiss electronic duo Klaus Johann Grobe and Psyence who both played last year’s Liverpool International Festival of Psychedelia. “I’ve been a full time record dealer for over 20 years since opening a new release shop in Quiggins in 1989, before I switched to selling second hand and collectible records at record fairs, university markets and online. Despite the usual nerves around starting a new business, Anthony is confident Dig Vinyl can buck the trend nationally and not go the way of other much missed Mersey record shops such as Frontier, No Quarter and the loss of Hairy Records. “The demise of Hairy Records was a very sad moment,” said Anthony. “I’d known Bob (Hairy’s owner who died in 2011) for decades and used to see him most weeks while we were both out buying stock. “He always had a lot of time for me & passed on some great advice over the years, not least in his capacity as an accountant! It does seem like a brave move in this current climate and one that might never have happened due to the ever increasing rents on Bold Street, but after nearly two years of searching a chance encounter with Joe, the owner of Soho’s, kick started a chain of events that led us here. After spending the last few months picking an incredible stock of desirable and in demand vinyl, Anthony is looking forward to the shop’s grand opening which he is hoping will involve the likes of local promoters Harvest Sun and a number of live events. “It’s all presented in a funky and modern environment where music fans can try out potential purchases on our listening post and feel like they can get involved with what we’re doing,” added Anthony. “One very interesting item we’ve got put away with all the opening stock is a very first pressing of the Beatles‘ debut album, Please Please Me on the rare black & gold Parlophone label (before Parlophone changed to the yellow & black design). “What makes this album very poignant is the fact that it came to us still in its bag from Brian Epstein’s shop, NEMS and even has the Whitechapel address of Brian’s shop printed on it. The Vinyl Emporium (Hairy Records) closes. Getintothis on the death of the indie record shop. Record Store Day in Liverpool – Wolstenholme Creative Space, Game Theory and more.